We are delighted to announce our work is now available at The Cat and the Moon in Sligo Town. This beautiful shop stocks carefully selected crafted gifts, which are all handmade in Ireland. It is the perfect place to buy a unique crafted Irish gift. We are particularly happy to have our pieces on sale here as Helen’s father was a native of Drumcliff. As a child she would holiday in Sligo and was always fascinated by the beauty of Benbulben mountain; the light and shade which displayed up the dramatic slope with unending shades of green. Rosses point was also a firm favourite, particularly on the nicer days, when the blue water would sparkle from the sun. 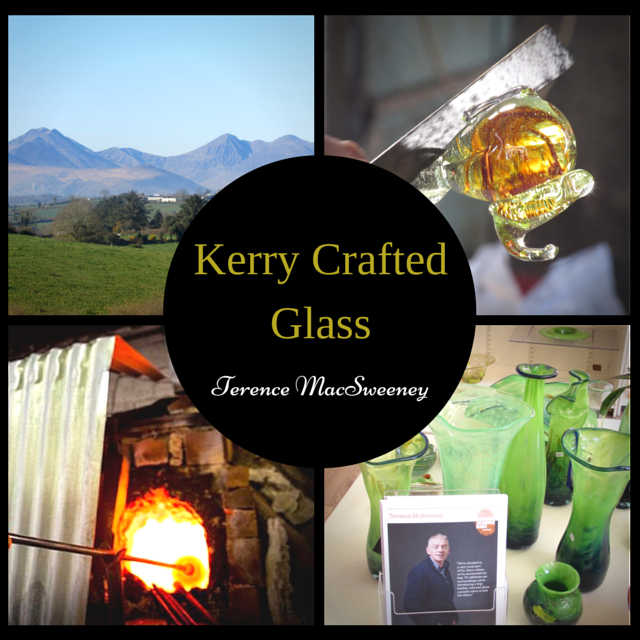 These memories have stayed with her through the years and have certainly influenced the pieces we have created here at Kerry Crafted Glass. The ‘Spring Green’ and ‘Wild Iris’ ranges remind her of the rolling green ‘blanket’ on Benbubin, while the Aurena Gold mirrors the blue waters and sand at Rosses Point. Sligo is a place we still love to visit and its great to have our pieces available to locals and visitors of the town. Through the years we have always enjoyed the fact, that our designs capture some of these fond childhood memories, which may not be set in stone, but they are certainty set in glass! What’s not to love about Autumn? It’s that time of year, when the temperatures start to fall, cosy sweaters are introduced back into our wardrobes and a walk through the National Park produces a beautiful sound of crisp leaves-music to my ears! Of course it also means the return of the hourly cup of tea… nothing nicer to heat you up on a cold morning! 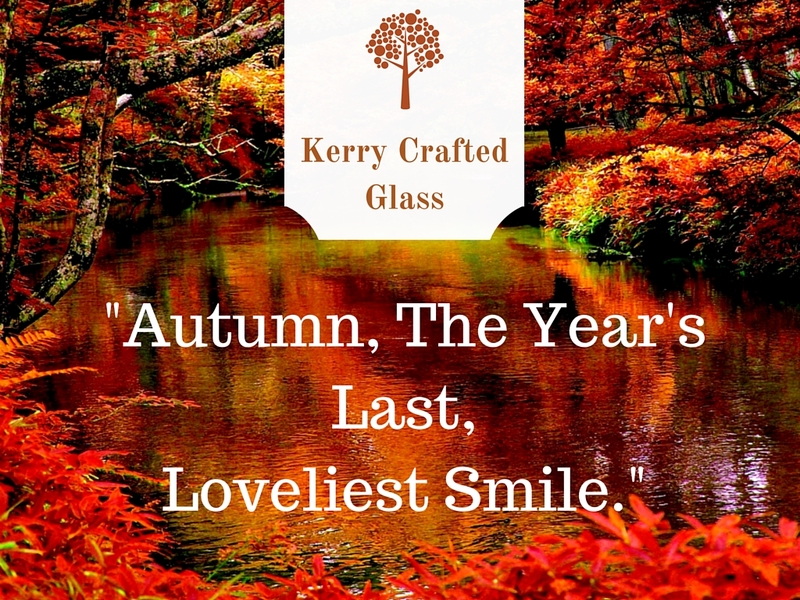 The leaves in autumn provide wonderful inspiration for the glass pieces we produce. The colours are endless; stunning yellows, burnt orange, carnelian reds…all working in harmony to create a breathtaking display. Our pieces include a number of these shades and bring a little of that ‘autumn vibe’ into your home. 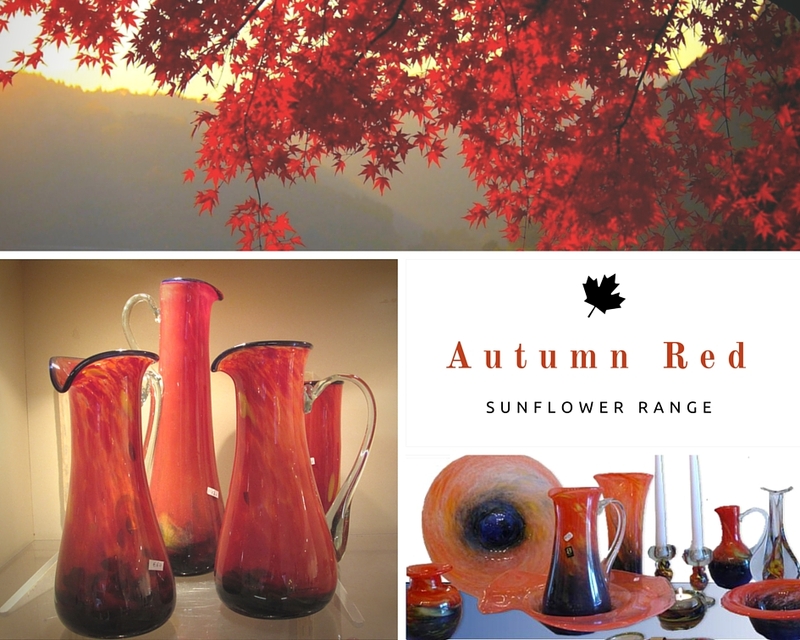 The Sunflower colour range has striking red hues with hints of yellow, promising to be a statement piece in any room. 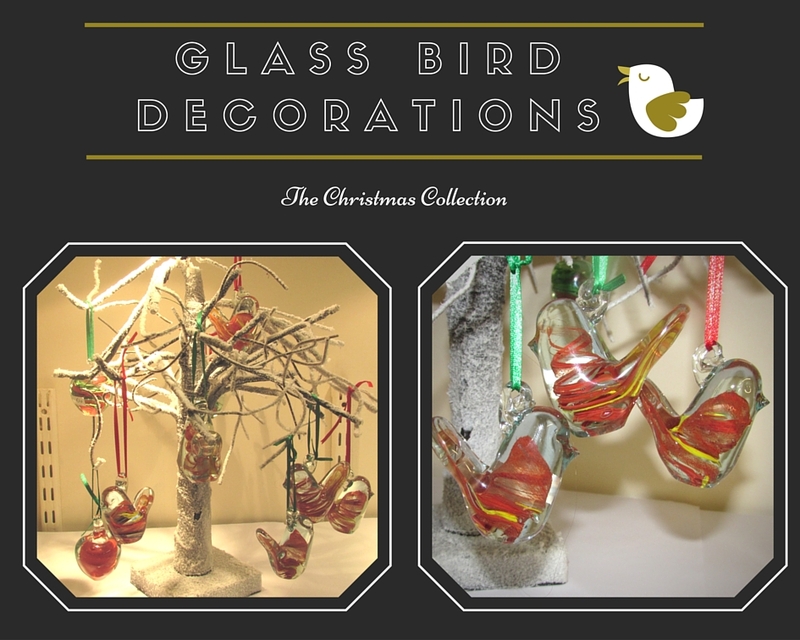 Our latest addition to the Christmas Collection is the glass bird decoration. You can add some personality to the tree, with these eye-catching ornaments. The glass shines, when met with the light and illuminates the vibrant festive colours. Another decoration option, could be to hang them (along with other baubles) from an existing chandelier. **Design Tip** Hang the decorations from the light fixture at different lengths for that extra sparkle! We are 107 days to Christmas Day. I know what you’re thinking…thats ages away. But when it comes to gift buying, it’s never too early to start. Collecting presents for loved ones throughout the year, can make things much easier and stress free come December. We’ve all been there; running through the shops last minute, grabbing anything in sight, but with some early preparation, you can select something meaningful and worthwhile. 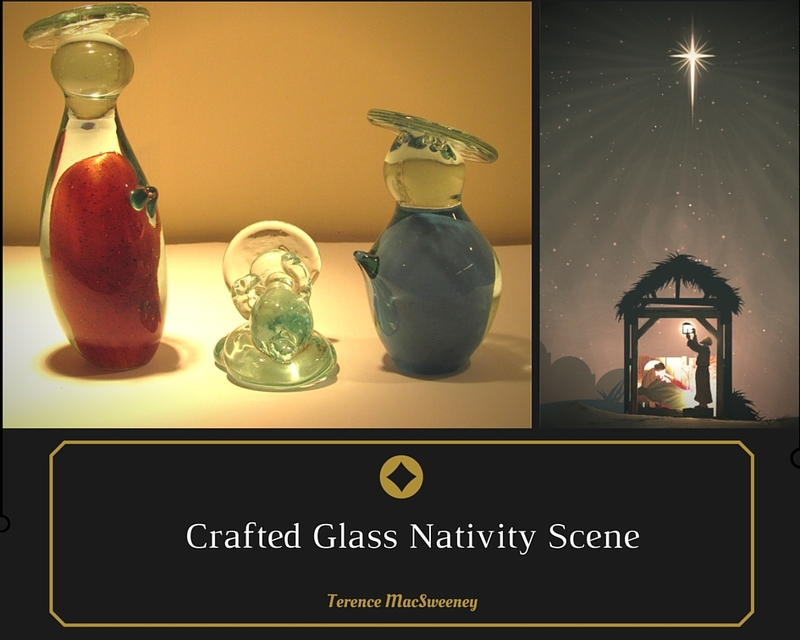 Our first piece is a beautifully crafted Nativity Scene- available in a range of colours (and also clear glass). Assembling the crib is a long standing ritual in Irish Households at Christmas and this piece offers an interesting take on the tradition. The perfect decoration for your own festive filled home or a great gift for a loved one living abroad. The Kerry Crafted piece will remind them of home, throughout the holidays. 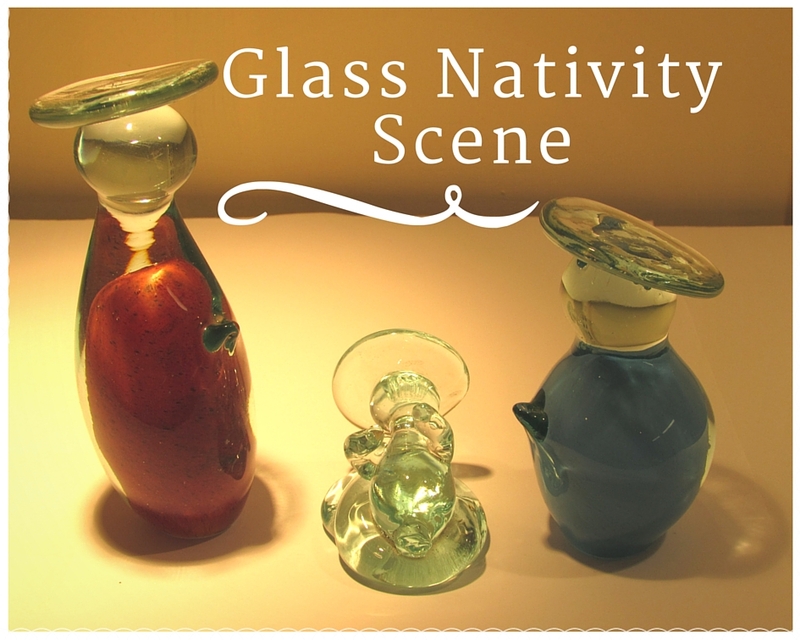 Glass Nativity Scene priced at €70. 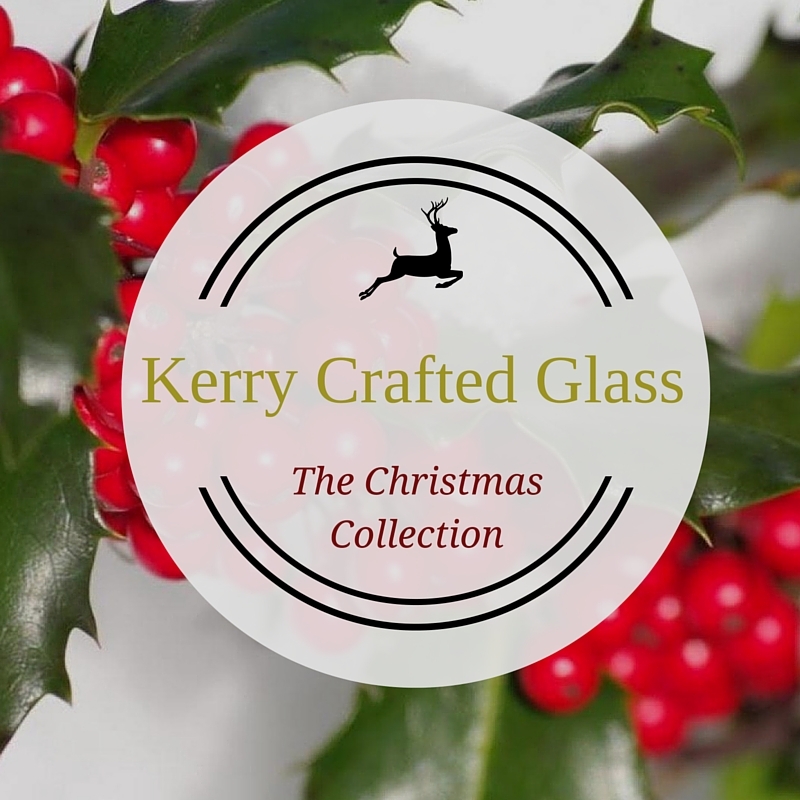 Contact us on kerrycraftedglass@eircom.net or call us on 064 6643295 to discuss the creation of your own piece. We are constantly extending the range of pieces we offer and our latest addition is this beautiful light. Lighting should be a key consideration in transforming the interior of any room and when chosen correctly, can form a great focal point. 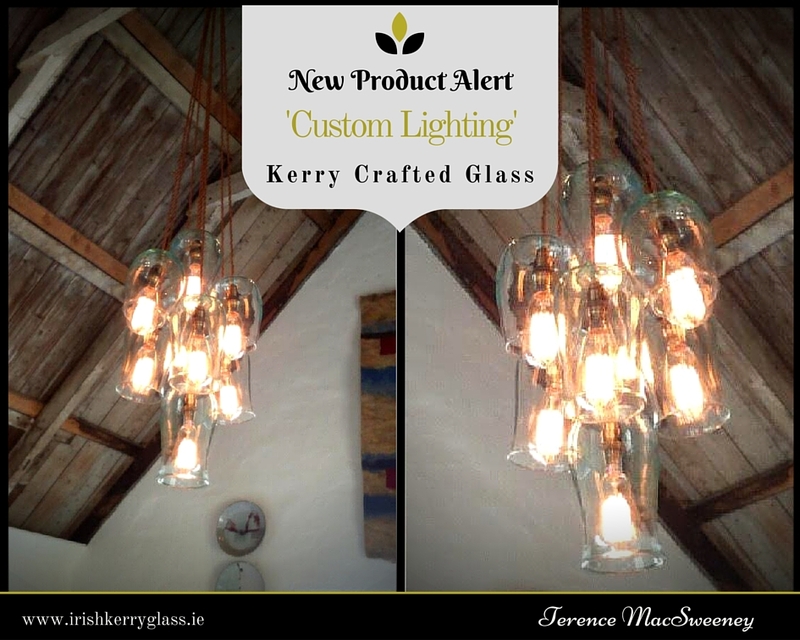 This chandelier light was specially commissioned for the opening of the Original Kerry Craft Centre in Castlegregory and we are now crafting them to each customers liking. The piece is subtle while still eye catching- perfect for an entrance hallway, dining room, sitting room or stairway! Each light is priced at €60 and you can add as many as you wish to build a chandelier look. (Price includes fitting). A total of eight lights were used for the large Craft Centre display (Commercial use). For a residential property, three to five lights would offer a similar ‘attention grabbing’ impression. Contact us today to discuss the creation of your own light! 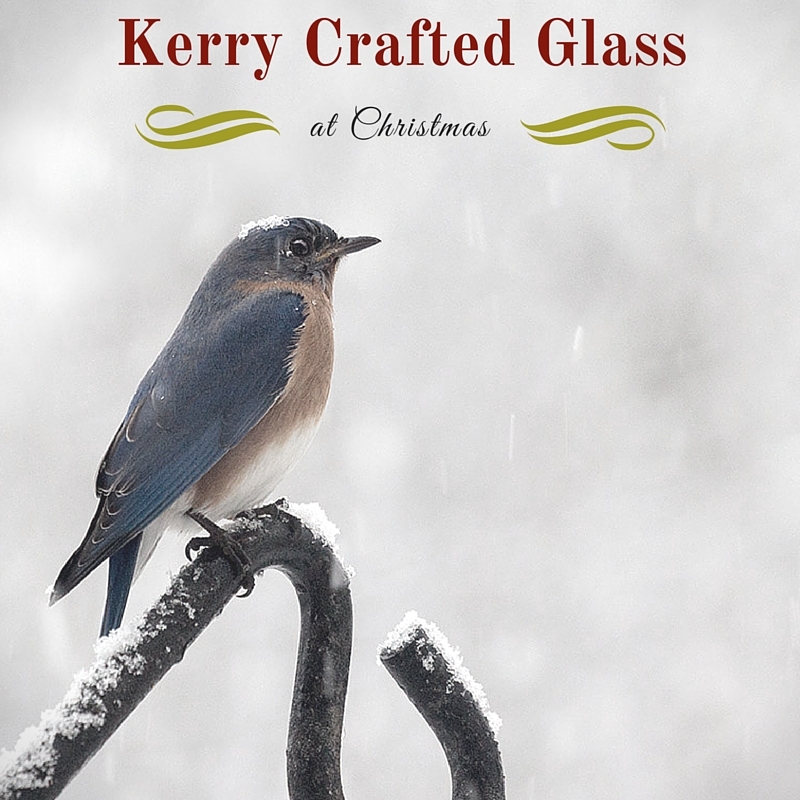 Say ‘Dia dhuit’ to the new Kerry Crafted Glass Blog! We are delighted to introduce our new blog!!! Stay tuned for regular updates, news and projects. Also like us on our social media platforms and leave a comment.